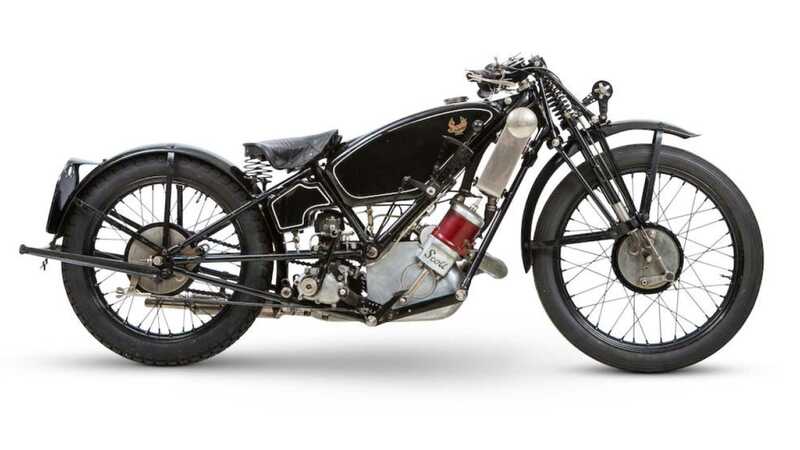 Much like the mythical moose and squirrel, Scott Motorcycles pulled a few magical rabbits out of its hat in the early 20th century. 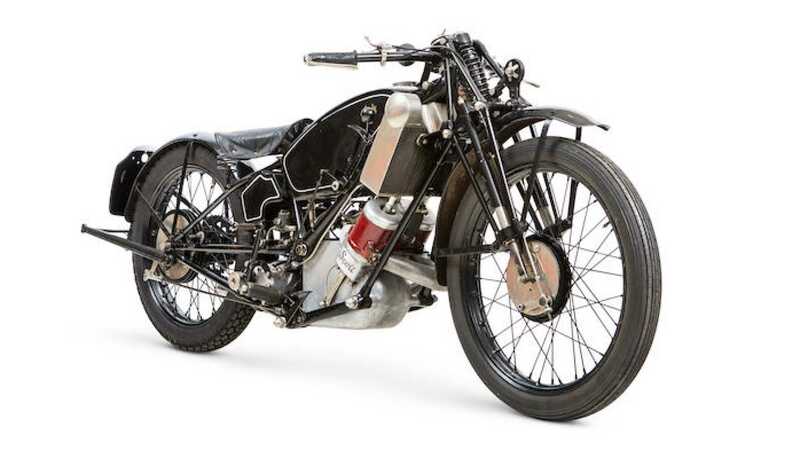 One particular example, this 1926 Flying Squirrel prototype, recently sold at auction for about $38,000. 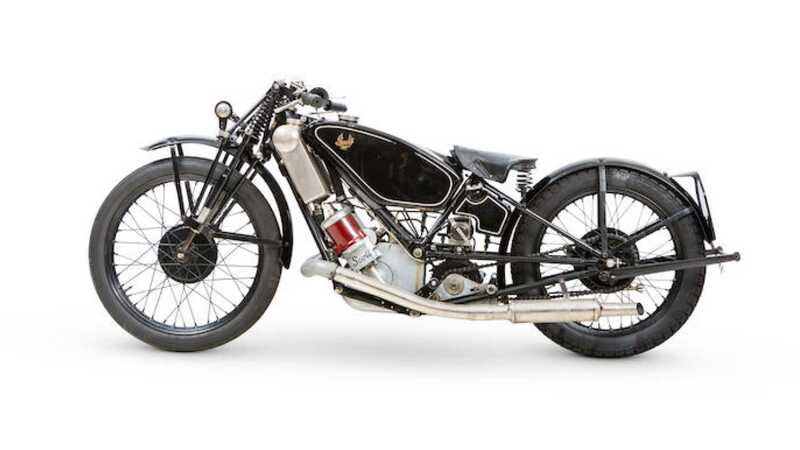 The bike's history is even more impressive than the technological feat of the motorcycle itself. Today's bleeding edge of motorcycle technology lies in the realm of electric motorcycles. In 100 years, some of today's crazy new developments will be tried and true technology. Similarly, brilliant innovations from 100 years ago are commonplace or even outdated today. 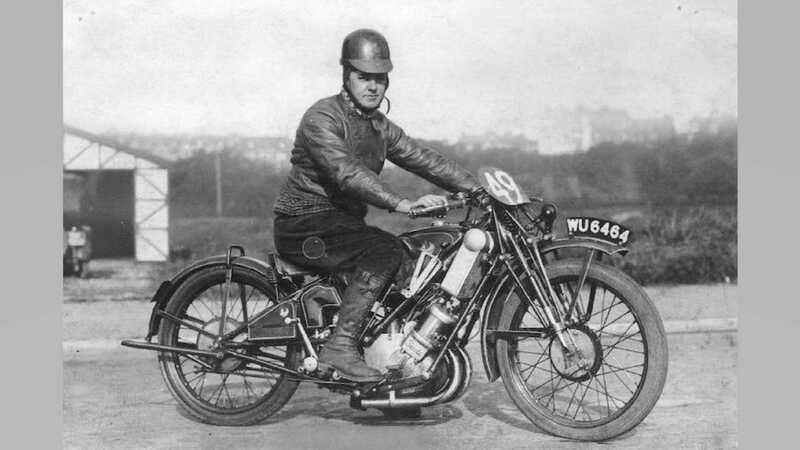 Such was the case with Scott Motorcycles. Design features such as water cooling, telescopic forks, and a design for a low center of gravity are commonplace today. 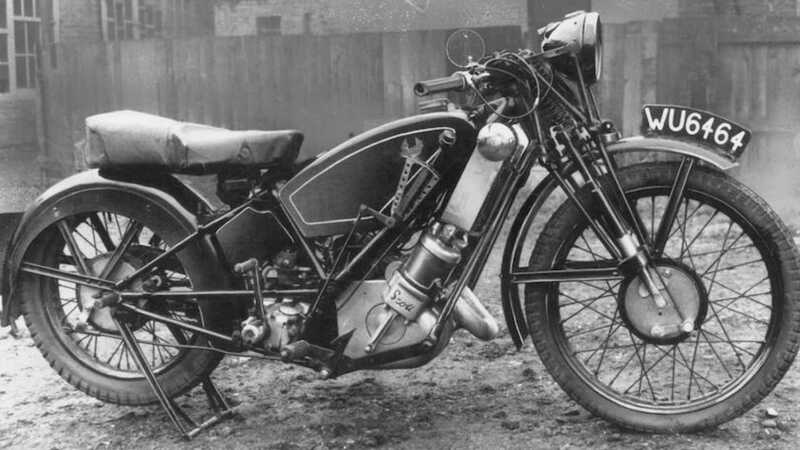 Two-stroke engines, which weren't common in motorcycles until Scott came along, have recently fallen out of favor for emission reasons but are still fairly common today. Scott first introduced all of these features way back in 1908. The bike featured here is from a few years on, in 1926. 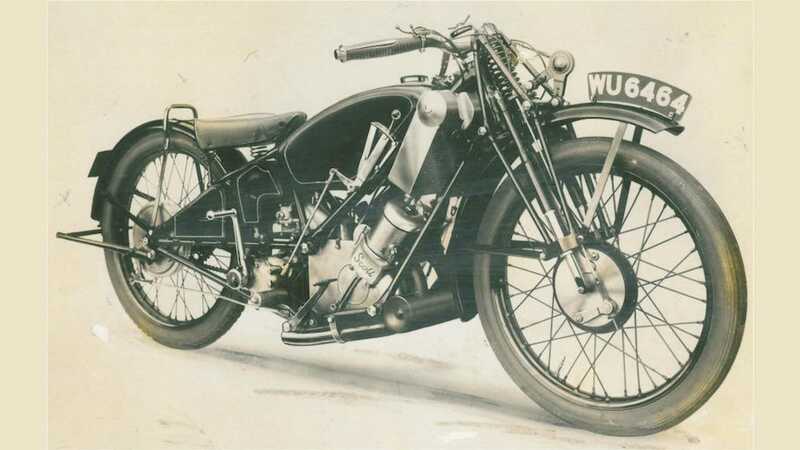 By then, its twin-cylinder 500cc engine had gained a three-speed transmission rather than the original two-speed. 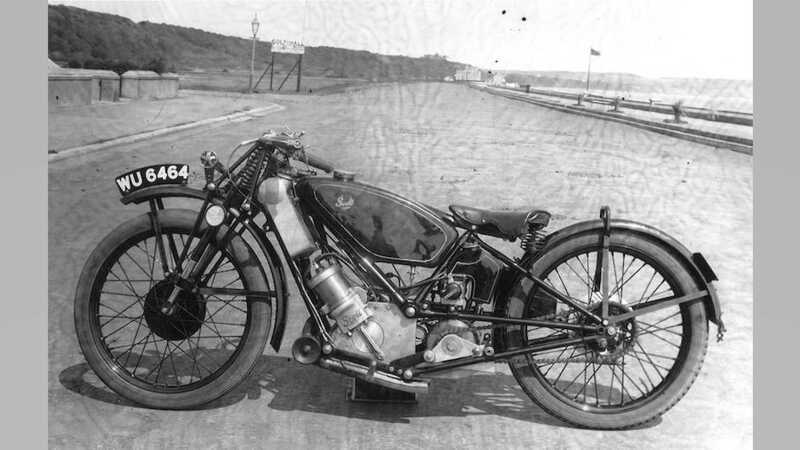 This was one of three bikes that Scott raced in the 1926 Isle of Man TT. The other two were out of the race before the end of the first lap, but this one soldiered on under the guidance of rider Jack Welsby. Even this bike was not without its mechanical issues. On his third lap, a particularly hard landing from the jump at Ballig Bridge stripped second gear, rendering it inoperable. Welsby then had to remain in top gear and seriously abuse the clutch on the slower portions of the course. He still managed to finish 18th overall, hitting 92.2 mph on the Sulby Straight and 107 mph on the drop to Hillberry despite the bike's issues. These bikes were prototypes for a new model, the Flying Squirrel, that would remain in production until Scott shut down in 1951. That's even a long run for a motorcycle, where bikes like the 32-year-old Suzuki Boulevard S40 are not unusual. That's because the bike's design and specifications would not have been out of place for a Grand Prix racer 50 years later. This particular bike remained in the same owner's hands for 50 years as well. It even held a valid MoT certificate, which is essentially like our state motorcycle inspections, in 2010, meaning it was actually street legal up until then. While it could probably be put back on the road, I tend to agree with the great motorcycle expert Indiana Jones. "It belongs in a museum!"